I somehow missed this Klosterman/Gallagher Grantland interview from last fall but Noel’s in great form as usual. Timely for our purposes in the context of my recent suggestion, prompted by a Klosterman quote, that Axl Rose and Noel Gallagher cut some tracks together. A.V. 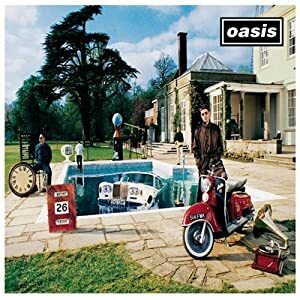 Club’s Steven Hyden explores the place of Be Here Now in the Gallagher cannon given Noel’s suggestion that we play his career in reverse for an alternate narrative of artistic expectation. Hyden gets close to saying what I’ve been saying for a while: Be Here Now is going to be one of those albums that people come back to and say, it’s not the first two Oasis albums, but it’s pretty great. It’s who they were then, and it’s who we, the people who loved it, were, too. Definitely Maybe and Morning Glory were almost perfect. Be Here Now was a victory lap that may have misfired, but it was a hell of a lot of fun, and it made sense that the biggest band in the world (“the first post-grunge band to be massive in every way,” as Klosterman says) act the part. And they did. And that record got me through my senior year of high school. I’ll always love it.